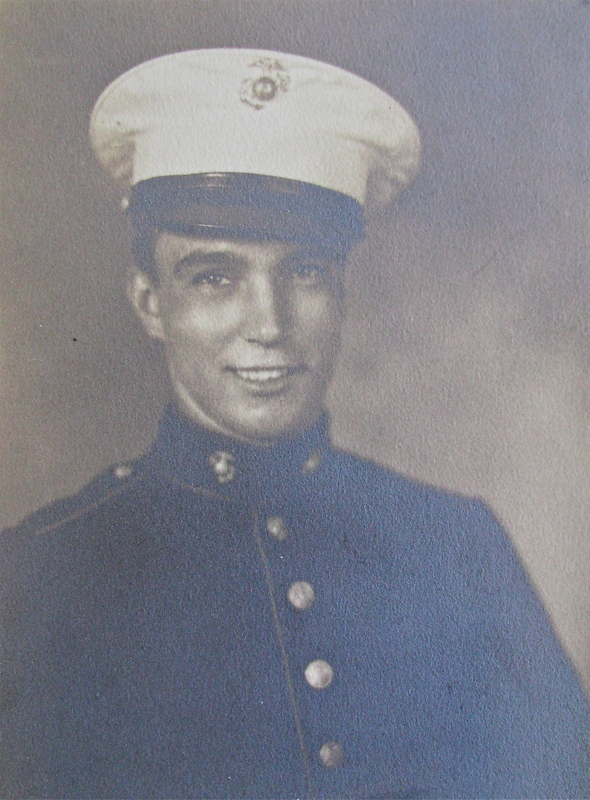 Tippy Burgess of Viscaya Mobile Home Park in El Jobean, Fla. joined the Marine Corps right out of high school in 1939. His parents had passed away and his older brother was doing his best to keep what was left of his family–himself, two sisters and a younger brother together. Times were tough for this young family. The Brooklyn Navy Yard was his first assignment after boot camp. He walked the fence with a bolt action 1903 Springfield on his shoulder as a Marine guard at the Navy Yard. The young “Leatherneck’s” new post, after the Navy Yard, was serving as a guard at a Navy’s torpedo station on an island off New Port, R.I. Life in the Corps wasn’t glamorous. “In those days a Marine Corps private received $21 a month in pay. But out of that $21 you had to buy government insurance which cost $3.20 a month. In addition, he had to pay 20-cents a month for medical insurance. So he was out of pocket a total of $3.50. “Because I was an ‘Expert Rifleman’ with my ’03 Springfield I received an extra $5 per month in pay which more than offset the money I had to pay for insurance,” he said. From the torpedo base, Burgess was reassigned to the Naval War College just across the bay where he served again as a perimeter guard. It was more of the same until things started heating up militarily around the world. “In September the Germans invaded Poland and we all thought the Marines would be sent to Europe. Then the Japs bombed Pearl Harbor and that changed things all around for us,” he said. “By this time I had made sergeant and was transferred from the War College to Camp Le Jeune, N.C. I ended up as a platoon sergeant in a replacement mortar battalion at Le Jeune. “Our unit took a train to San Diego and boarded a ship for New Caledonia. We reached New Caledonia and our unit became a replacement battalion. I was sent on to Guadalcanal and from there to Vela de Vela, part of the Salomon Island chain. “I became the sergeant in charge of an anti-aircraft battery of 20s, 40s and 90 millimeter anti-aircraft guns,” Burgess said. Our unit ended up back on Guadalcanal for additional training. “Then I went to Palau with the 1st Marine Division, but didn’t take part in the costly invasion of the island because we were anti-aircraft people they held us back. We set up our guns on a little island off Palau,” he said. 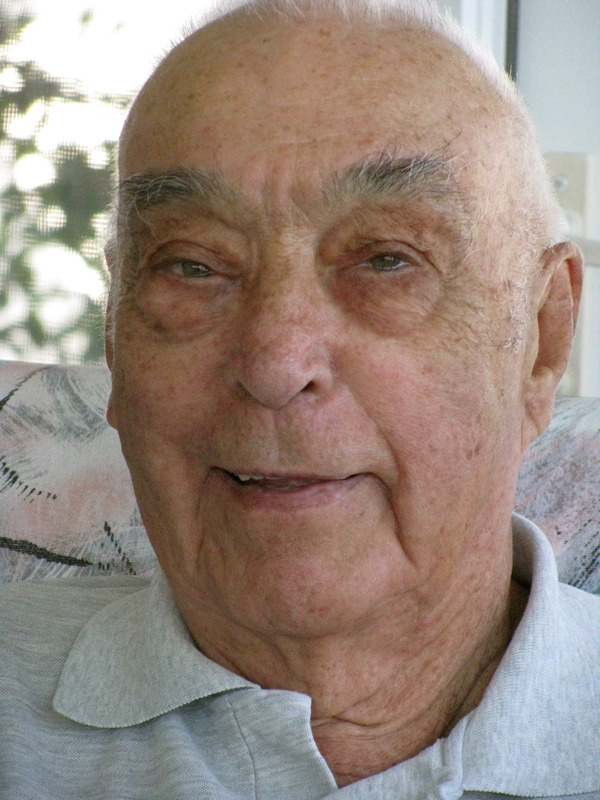 “Because no Jap planes showed up around Palau they disbanded our artillery battalion and I was sent back to Guam. I hooked up with George Company, 2nd Battalion, 9th Marine Regiment, 3rd Marine Division,” Burgess said. He spent the rest of the war on Guam with the 3rd Marine Division. The old Marine said they celebrated V-J Day (Victory over Japan) by firing off a bunch of their unspent ammunition in celebration. Because he had more points than needed return to the USA, he boarded a liberty ship almost immediately and sailed for the Golden Gate and San Francisco Bay and Oakland. As strange as it seems, Burgess never fired one shot in anger during World War II even though he served much of his four years in the Pacific Theater in the Marine Corps. “I took a train across the country to Boston to meet my first wife, Florence, and my daughter, Carol, I had never seen before,” Burgess said. He went to work in a plant that manufactured rubber products for a while, then he got a better job working as a plasterer with his older brother. His last 20 years he spent as maintenance supervisor at St. Auburn Cemetery in Cambridge, Mass. Burgess and his second wife, Maxine, retired in 1993 and moved to Viscaya Mobile Home Park. Together they had seven children from two marriages: Carol, David, Donna, Peggy, Richard, Sharon and Warren. This story was first published in the Charlotte Sun newspaper, Port Charlotte, Fla. on Monday, Dec. 16, 2013 and is republished with permission. Click here to view Burgess’ collection in the Library of Congress. A great tribute to an honest man.